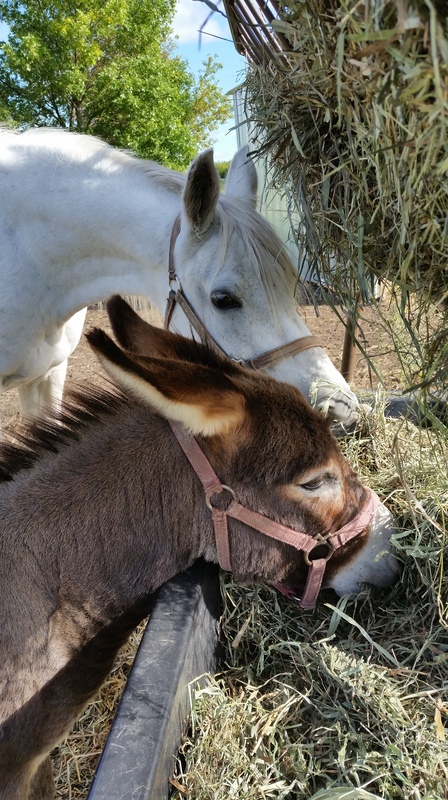 Mini Donkey’s see dogs as enemy, they are known to fight off Coyotes. 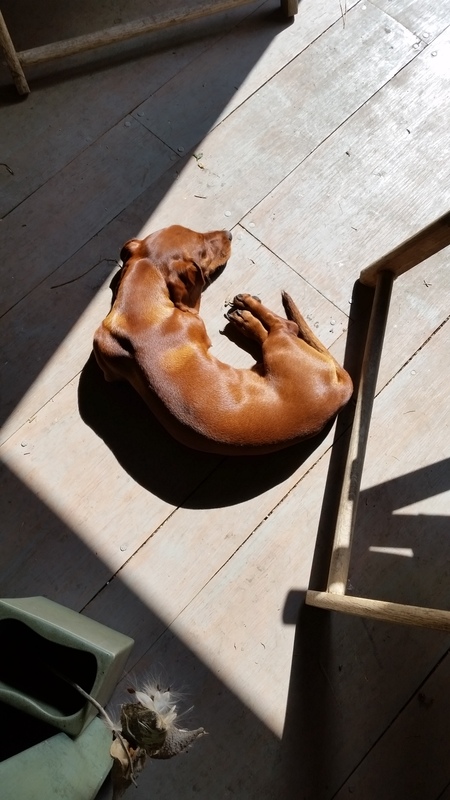 But Jimmy loves Dahlia, the Mini Dachshund. Someone, who shall remain nameless, recently asked ‘why do you have a donkey?’. When we began the ‘living in the country’ adventure. My vision included chickens and ducks. Mama Duck had 11 little ducklings and they were the cutest little critters to watch grow up! We don’t have ducks anymore….I won’t disturb you with the reason. “It’s chick and duckling season”! You hear them the minute you enter the door. The glow of heat lamps hanging over galvanized tubs of fuzzy little feathered sweetness. Today I did, but I’m not promising that I can next time! 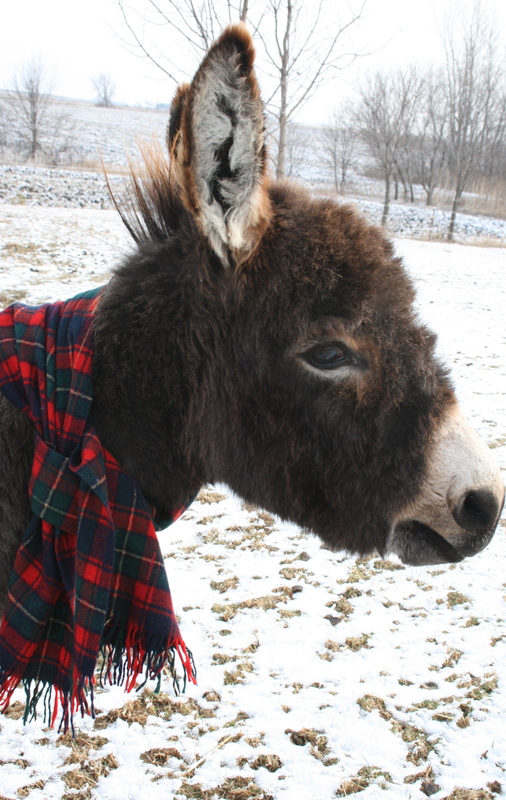 Jimmy and his woolen scarf.